Home / Cleat Geeks / We’re Overdue For A Vintage Larry Game; Will He Finally Get Some Home Cooking? We’re Overdue For A Vintage Larry Game; Will He Finally Get Some Home Cooking? 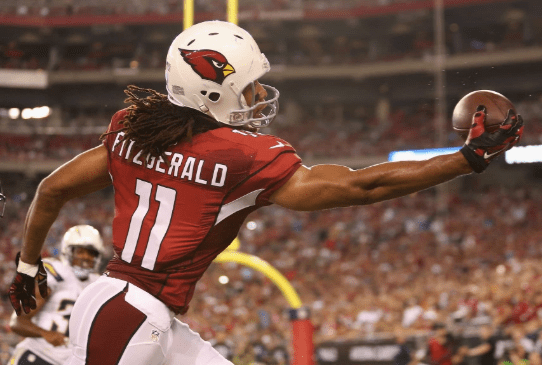 Even though we Phoenicians have adopted Larry Fitzgerald as one of our own, just like the rest of us, there’s only one hometown for the future first-ballot Hall of Famer. In what will be his sixth, and possibly, final visit to Minneapolis, Minnesota as a member of the NFL and the visiting Arizona Cardinals (1-4), Larry Legend is still in search of his first NFL victory in his home city against his childhood team, the Vikings (2-2-1). In fact, including one playoff game, Minnesota has defeated the Cardinals in each of their last nine matchups at home – all nine have been played since 1991. The Red Birds haven’t won in the Gopher State since 1977, a full decade before the St. Louis Cardinals franchise would head West to the desert. Since Larry was drafted by the Cardinals in 2004 out of the University of Pittsburgh with the third overall pick, four of the five losses that they’ve experienced at the hands of the Vikings in Minneapolis, have been decided by a sole possession (5, 3, 24, 7, 6). To go along with the goose egg in the win column, and despite the fact Fitzgerald has posted an 11 catch, 172 yard performance and another 7 catch, 107 yard game, to go along with a 6.5 catch and 87.5 yard average over those five losses, the greatest wide receiver, and probably greatest player, to ever done a Cardinal jersey in the franchises 100-year existence, has yet to haul in a touchdown in his home state since his senior year of high school. While Larry has caught 68% of his targets thus far in the 2018 season, which is right in line with his 67.7% from last season when he finished with 1,156 yards, 6 TD and 109 receptions – which was second in the NFL – Fitzy is having the worst five-game stretch to start a season in his career, as he has 17 catches for 176 yards and 0 touchdowns on only 25 targets. The 25 targets has him on pace to receive just 80 pass catching opportunities this season, which would be by far the least amount of targets in his career. In 2014, the Japanese Fighting Fish, as current radio commentator and ex-Cardinal Ron Wolfley so elegantly likes to call him, started in 13 games and finished with a career low 103 targets. He finished with 63 catches that season, the second lowest total of his career. The GOAT, as us fans like to call him, is on pace for 54 receptions this season. That would be four shy of his current career low of 58 that he posted as a rookie. Out of his 14 seasons, he’s finished with less than 135 targets just three times. Again, he’s on pace for 80 targets even though if the season ended today, the 68% catch percentage would be the third best of his career. While the Cardinals offensive coordinator Mike McCoy gets his fair share of criticize for the teams poor offensive performances this season, and rightfully so, but in the last two games with first-round pick QB Josh Rosen at the helm, Fitz has seen a total of just eight passes in his direction. He has hauled five of those eight passes for only 63 yards. Sure the fifteen-year vet might not have the same foot speed as he once did, but speed was never his forte to begin with. As we’ve seen for more than a decade and a half now, it’s not necessarily about Larry having to be open for him to be uber successful in any offense that he’s been in during his illustrious career, but rather just placing the football in his vicinity and letting his length and hands do the rest. In Arizona’s win over the San Francisco 49ers last Sunday, their longest drive in terms of plays was only six. That possession lasted less than three minutes, which was also their longest drive in regards to time. It’s no surprise that the Cardinals offense ranks at or right near the bottom in nearly every offensive statistical category. Kirk Cousins and the Vikings are not the 49ers and C.J. Beathard. Josh Rosen, Larry Fitzgerald and the rest of the Cardinals offense are gonna have to sustain drives to help keep the defense much fresher than last week when they were on the field for a whopping 88 plays. Cousins top receiving target, Adam Thielen, already has 47 catches on the year. The Cardinals wide receivers as a whole have 41 receptions. 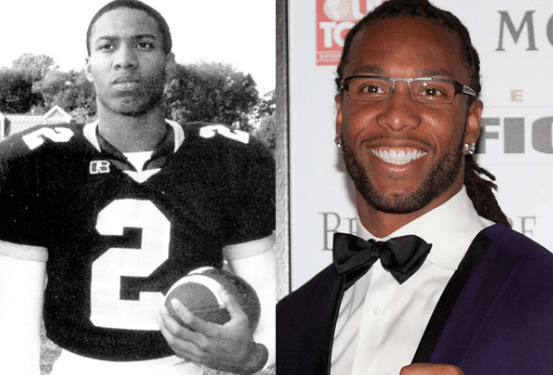 If the Cardinals expect to leave Minnesota victories for the first time in over 40 years, the time is now for a vintage Larry Fitzgerald performance. That won’t happen unless he gets targeted far more than the five targets a game that he’s been receiving up to this point of the season. Feed him some home cooking.